The image is used under a creative commons license with thanks to SkySeeker on Flickr. 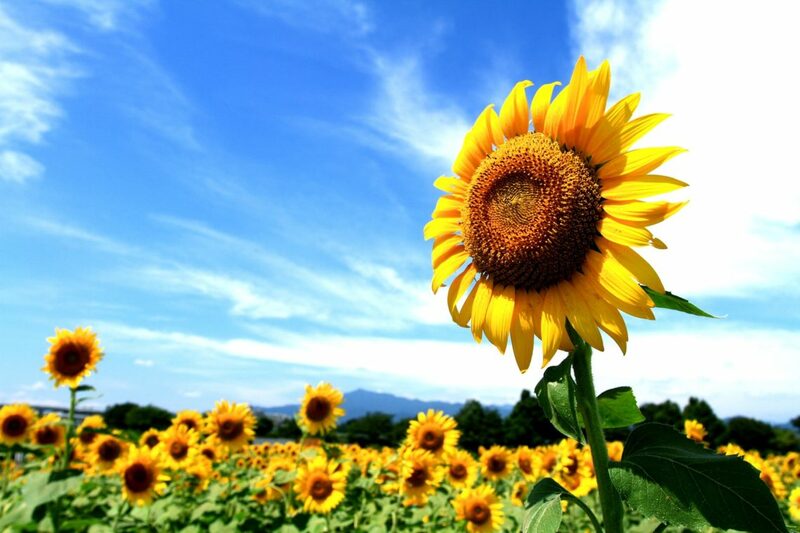 It shows a field of yellow sunflowers against a brilliant blue sky. In the far background a mountainous landscape can be seen. One sunflower is sharply in focus in front of the camera and the rest, slightly out of focus, behind.